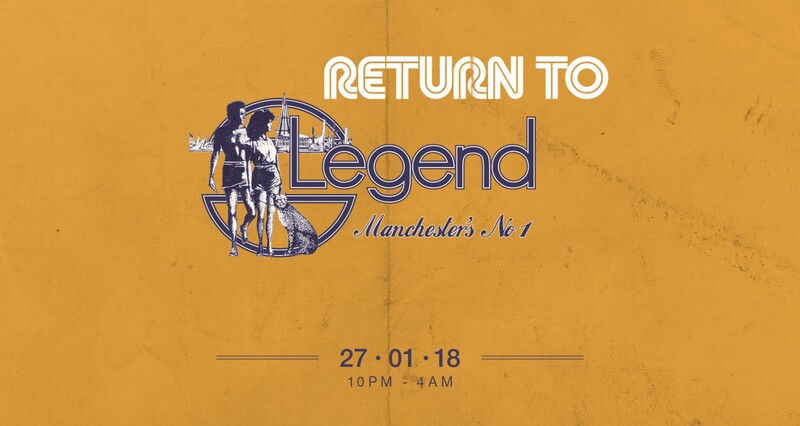 On Saturday 27 January we return to Legend, Manchester’s ‘other club’ of the 80s with the venue’s most celebrated resident, plus an honoured guest who’s played there many times himself. Sounds of Soul, Funk, Disco, UK Jazz-Funk, Jazz-Funk and Jazz Fusion eventually leading to Electro-Funk, Hip Hop, House and Techno were the staple sounds every Wednesday night during Greg Wilson’s Legend residency, which would see people travelling from all over the North and Midlands – even as far as London – to attend. Joining Greg will be one of the great British selectors, Mr Colin Curtis, who has recently celebrated 50 years of DJing. A legend in the true sense of the term, described as ‘The UK’s Mancuso’, Colin was at the forefront of the specialist Northern Soul and Jazz-Funk scenes of the 70s, as well as being a pioneer in introducing the sound of mid 80s Chicago music to the dance floors of Britain. This year marked the 50th anniversary of his DJing debut. Before the music starts there will be an interview and Q&A with Greg talking to Colin about his crucial contribution to UK club culture, covering his involvement in the various scenes, before Colin takes us on a journey through the eras, from his Soul beginnings up until the early House he played at Legend, The Playpen and Berlin in Manchester. Greg will cover the music of 82/83, playing both original and reworked versions of classic and cult-classic Legend floor fillers. Head over to Skiddle to pick up your £10 ticket.